The Dual Layer Nightguard is for those people that have a clinching problem and not a grinding problem. For grinding, our Hard Acrylic Nightguard is the perfect product. 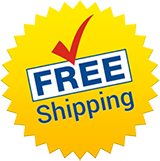 The Dual Layer Nightguard is made of a softer inner layer of plastic covered with a hard plastic outer shell thus called a “dual” layer. This teeth device is more comfortable than the Hard Acrylic Nightguard and is all that is needed for those people that clinch their teeth together. Choose if you would like Upper or Lower Below. The Dual Layer Nightguard is for those people that have a clinching problem and not a grinding problem. For grinding, our Hard Acrylic Nightguard is the perfect product. The Dual Layer Nightguard is made of a softer inner layer of plastic covered with a hard plastic outer shell thus called a “dual” layer. This teeth device is more comfortable than the Hard Acrylic Nightguard and is all that is needed for those people that clinch their teeth together. 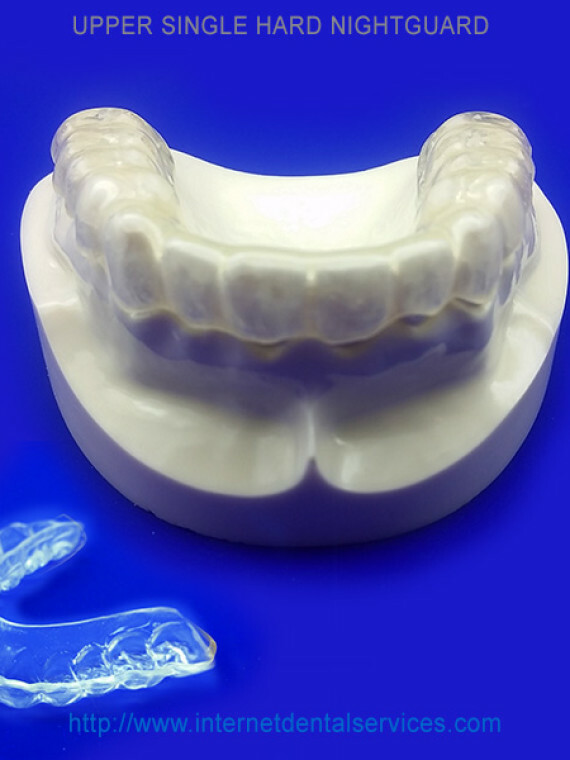 When you order our Dual Layer Nightguard you will receive our teeth impression kit within 2-3 days. 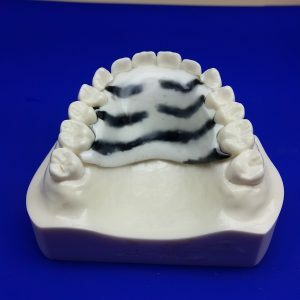 After you create your impressions and send them back to us in our prepaid mailer, it takes 10-12 days to manufacture your product (the same time as if you had gone to a dentist). These are the same high quality products that are made by laboratories that dentist use, for close to half the cost. 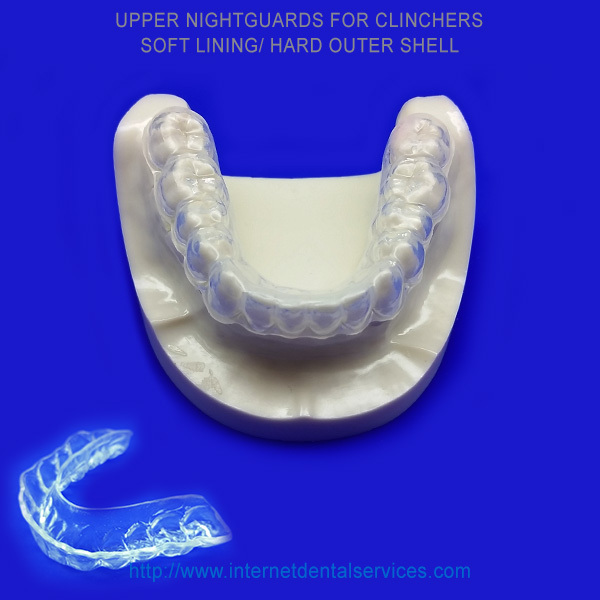 I ordered this night guard after my dentist noticed signs of clinching. The ordering process was a simple. I was worried about taking my own impressions, but with the online videos and guidance, it wasn’t an issue at all. I have been using the night guard for 3 months now. It fits perfectly and is very comfortable to wear. And the best part…the price; my dentist wanted to charge me $600 for the same night guard that I got for a fraction of the price here!